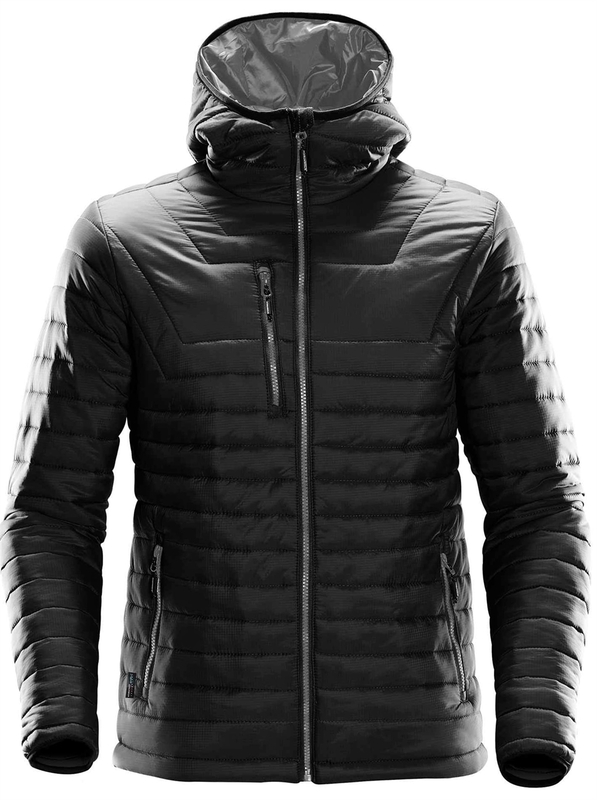 Ultra-sleek and lightweight, this thermal fill custom jacket features a quilted body with a form fitting shape and an ultra-soft liner for maximum comfort and style. 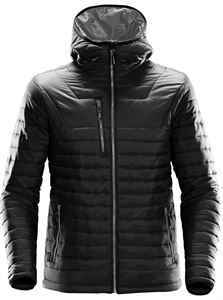 A high-density water repellent outer shell protects you from the elements and an insulated hood provides additional protection. A center front vislon zipper with contrast zipper teeth provide an element of modern style. Elasticized cuffs, an internal full-length stormflap and an adjustable hem keep cool winds out. Zippered pockets with garages and brushed tricot keep hands warm. 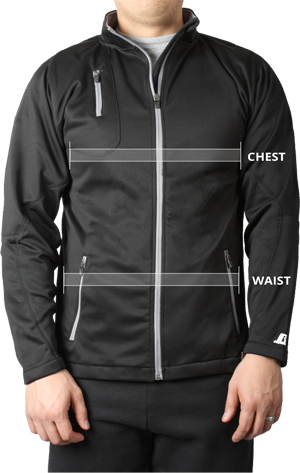 This custom jacket also features an inside pocket and an internal media port. Fit: This item is "Fitted" - Neither slim nor oversized. Universal, easy fit for comfortable range of motion.